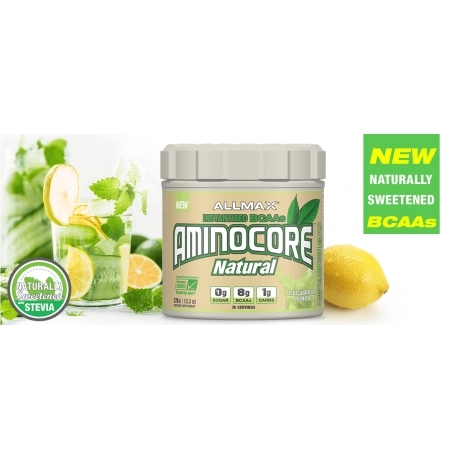 AMINOCORE Natural has all the same great benefits as our popular AMINOCORE BCAAs but now naturally sweetened with Stevia! 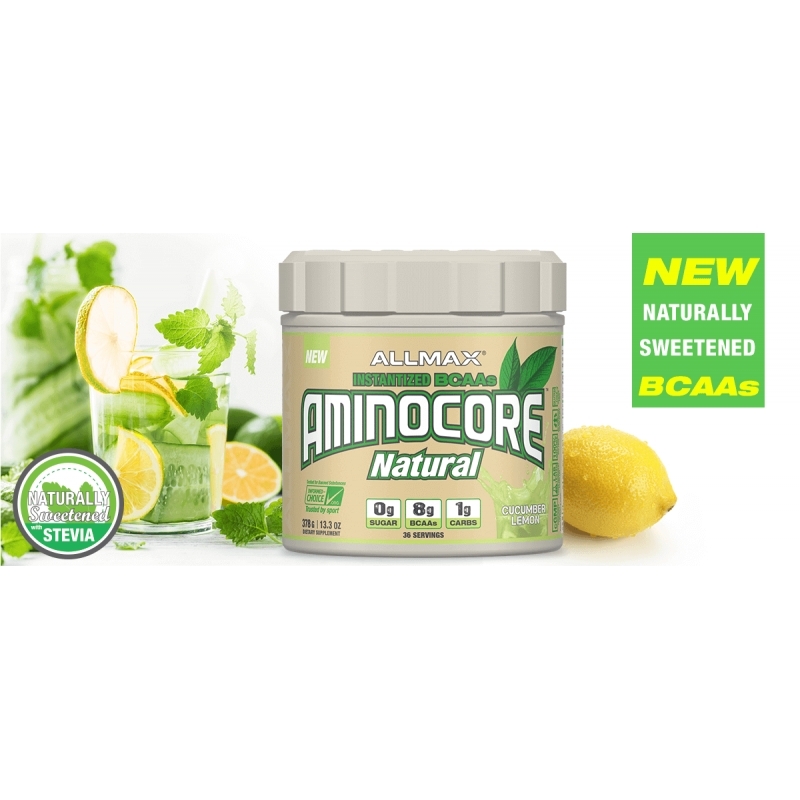 AMINOCORE Natural uses only all natural color and flavoring and is an easy and refreshing way to get the muscle-building power of protein into your workout! With our new patent pending SCOOP-LOCK™ system with ERGO-LID™ packaging! you never have to go digging through your BCAAs to get it.